Hubby was home today and while he made something to eat I started trying to declutter the cupboard in our bedroom. Our boiler is in there which is due to be serviced on Thursday so it needed a clear out as it was a dumping ground. So no real photo except one of Rosie. Had a relaxing day today. Was meant to have my Quran class today as I can’t make it Wednesday but it got cancelled. Was feeling a bit tired and low so just chilled. A wordsearch book I had ordered for Bee arrived. She is currently addicted to them but she then complained this one was too easy for her! Was meant to go kick boxing this morning but I wasn’t feeling 100% and then mum wanted to pop round to someones house who’s mum had recently died. She had flown out to Pakistan but returned a few days ago. Also had an appointment to cut my hair…..went for a drastic cut – before it was down to my bum…now its just below my shoulder. Head feels so much lighter now too! Bee has been asking for custard and cake and I just haven’t got round to making it so shop bought it was! A busy day today. Had a governor finance and resources meeting at school today. When that finished I popped home for a couple of hours to finish tidying up the cupboard I started on Sunday. Then back to school in the afternoon for reading cafe with Bee. 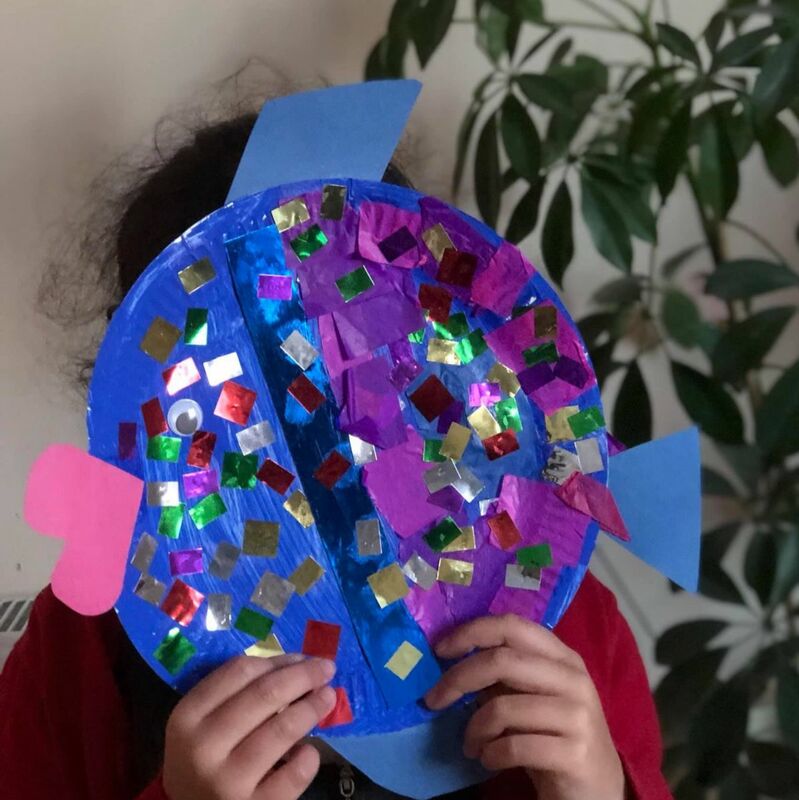 We made a Rainbow fish as part of the craft. Spent the morning at home waiting for the boiler guy to come service the boiler. 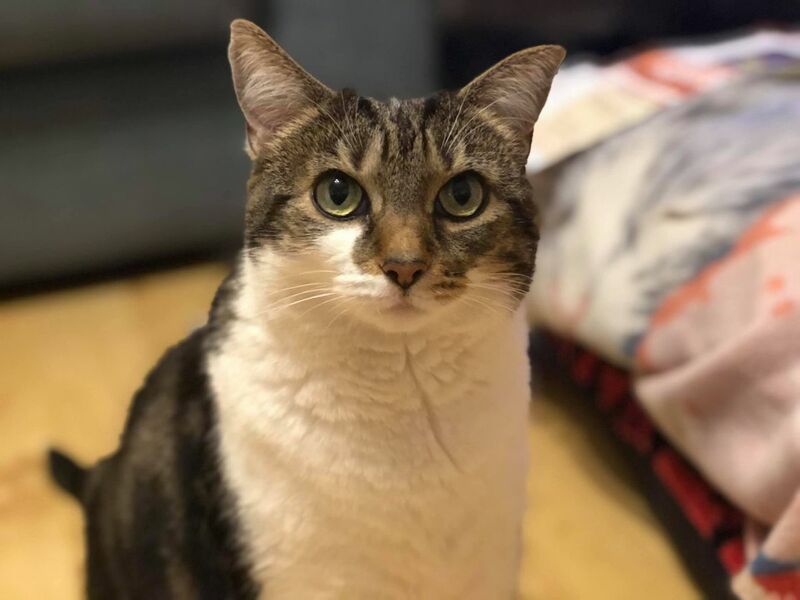 Hubby ended up taking a day off work as someone had to be in incase he arrived at 8…..he did think about going to work after the school run but had a few odd jobs to do so stayed at home. 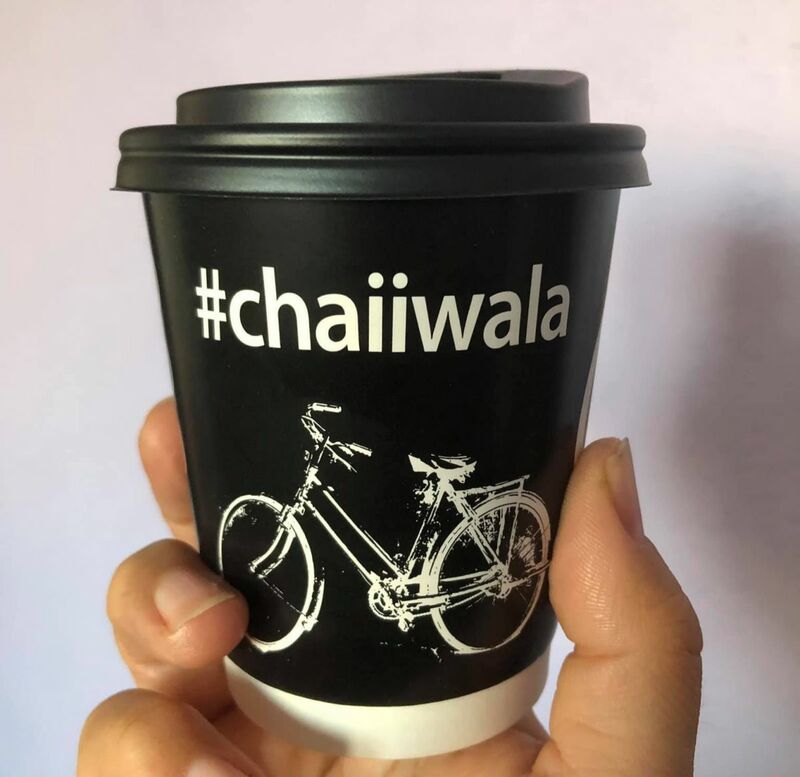 Treated me to breakfast and tea from Chaiiwala. Was given a time of 8am to 1pm by the service guys. He phoned just after 12 to say he would be 20 mins…40 mins later he arrived. Just feel like the whole morning was wasted as couldn’t even cook as didn’t want the house to smell strongly of the spices before the boiler guy came! My eldest had first seen an orthodontist over a year ago. They then for some reason said they would see us in a year but we never received an appointment. I chased it up a few weeks ago and got an appointment today. The orthodontist seemed a bit discouraging in the sense that he was telling her she didn’t have to go through with it…and if she wasn’t going to keep the braces in for at least 16 hours a day it would basically be a waste of time and the NHS’s money, saying she had at least 6 years to get free treatment. I understand that he had to make it clear but any nervous child is likely to jump at the chance to say no. I ended up saying no when I was her age after I had had the removable braces – I refused to have the permanent ones and my teeth ended up messed up…. my orthodontist I think preferred private patients as he didn’t explain the importance of the permanent ones and asked me when my parents weren’t in the room. I honestly thought my eldest was about to say no but she thankfully said let’s just do it. So they took impressions and x-rays and back in a couple of weeks to discuss a treatment plan. It was interclub at karate…..Bee’s new school against her old karate school. She decided she wanted to enter. I wasn’t too happy about it because she hasn’t done much sparring since she joined the new school…and her old school focus on it at almost each lesson! But she was determined to go….I didn’t want to stop her but I was so nervous. She did OK, didn’t win but we didn’t have any tears even though she did get hit a few times….managed to get a few kicks and punches back. 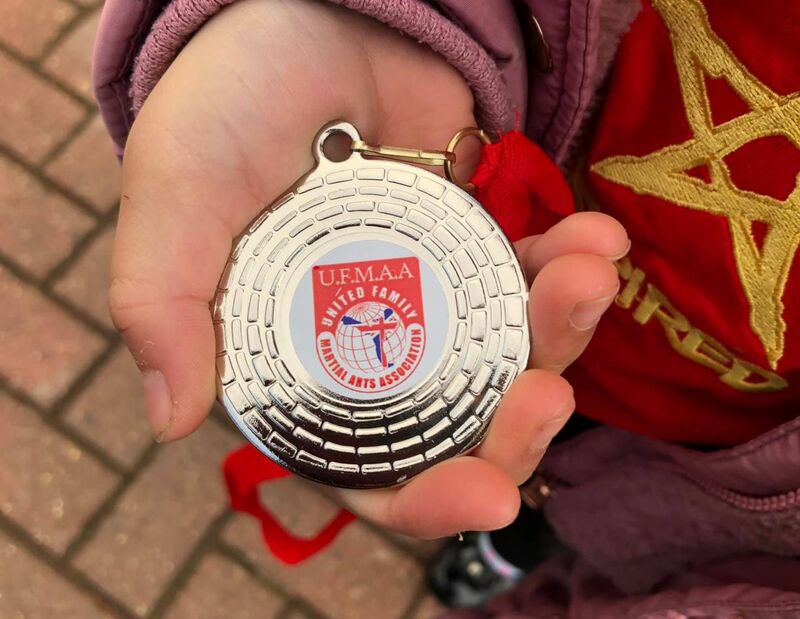 She got a medal as a runner up and for taking part. Wow, that’s mean of the orthodontist! How can you tell a kid they’re a waste of NHS resources if they don’t do what you say? You should complain about his bedside manner or lack of! And yes, had the same issue on Friday waiting in for a guy and he literally came at the 11th hour, it is so annoying but Alhamdulillah we all have the privilege of home, really feel sad when I see homeless people in this cold weather! Humaira recently posted…Simply Humaira 2018 Reader Survey Results! I did wonder if I should complain but at the same time I guess he was just being honest. Well done to Bee for braving the karate competition. I’m amazed how long your hair was, it must feel very different now! It’s so annoying waiting in for people to come and do work in the house, they’re nearly always late! It certainly feels strange but lighter on the head! Hope you are feeling better. That word search book looks great think I will look into one for my eldest. I hate it when they come right at the ends of a time slot. Hope the boiler was all okay. Glad she did okay in the karate competition. 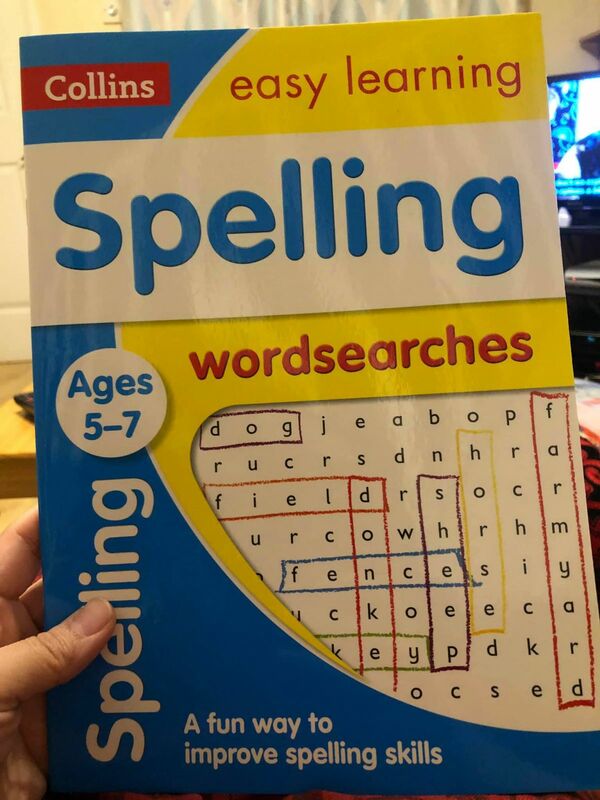 The wordsearch book looks like a great idea to help with spellings! Ugh! It is rubbish waiting in especially when you waste a morning. Good luck to your eldest with the braces. Thank you! Hopefully she doesn’t back out! I hate waiting in for something that comes at the end of the time scale! The craft rainbow fish looks great! It certainly was fun to make and colourful! Sounds like a busy week! It’s so annoying when you have to wait around for someone and then they arrive at the very end of the time slot! I was exactly the same with my braces and just had the removable ones, almost wish I hadn’t bothered now, but well done to your eldest for listening to the options and making the decision. 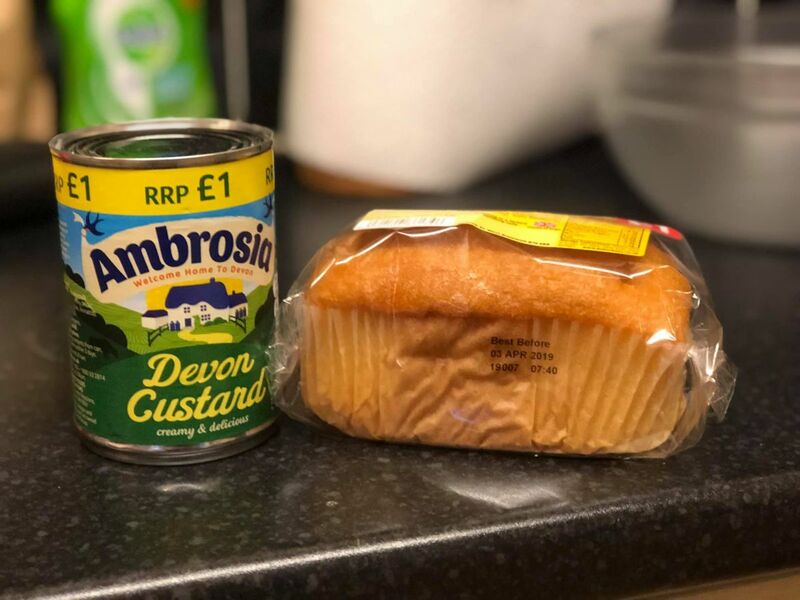 Cake and custard sounds perfect for this cold weather. Cake and custard certainly is good in this weather! It is always the case isn’t it that they turn up at the end! a runner up medal is good, at least she took part and will have learnt from the experience. 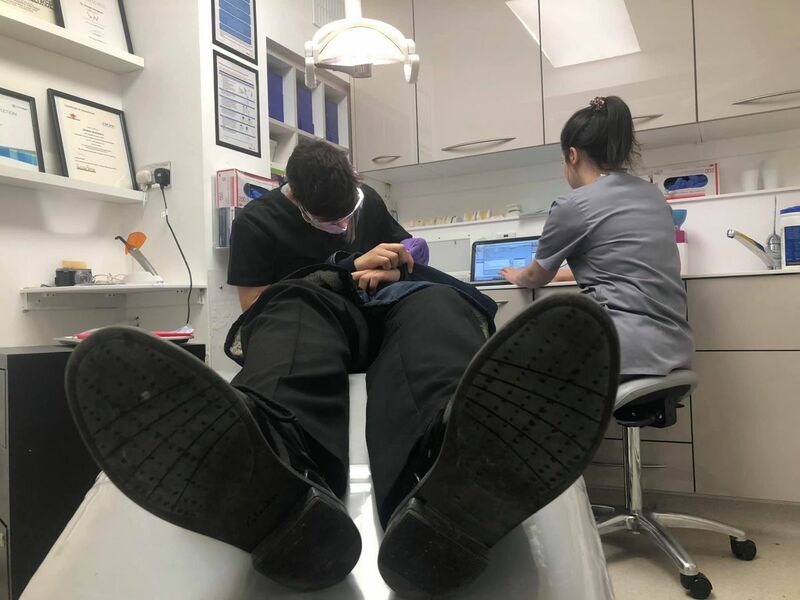 My daughter spent year under going orthodontic and other dental treatment and they spoke to the children over 12 and let them make their own decisions, we did not even get to go in with her. She was happy with what they did in the end after trying a few things that did not work. Hate waiting all day on service people, seems such a waste of time staying in. The problem with that though if a child is scared we don’t know what they have said to the child and we can’t be in there to reassure them and explain why it is worth it. Hopefully it won’t be so bad!